Funny story, the first thing I thought of when I saw this sultry peep-toe wedge was a lyric from Salt-n-Pepa's Shoop, which goes like this - "Ummm, you're packed and you're stacked 'specially in the back" - yes, strange I know but can you look at this super stacked heel on this Charles Jourdan Cadence Peep-toe Wedge and not think the same thing? 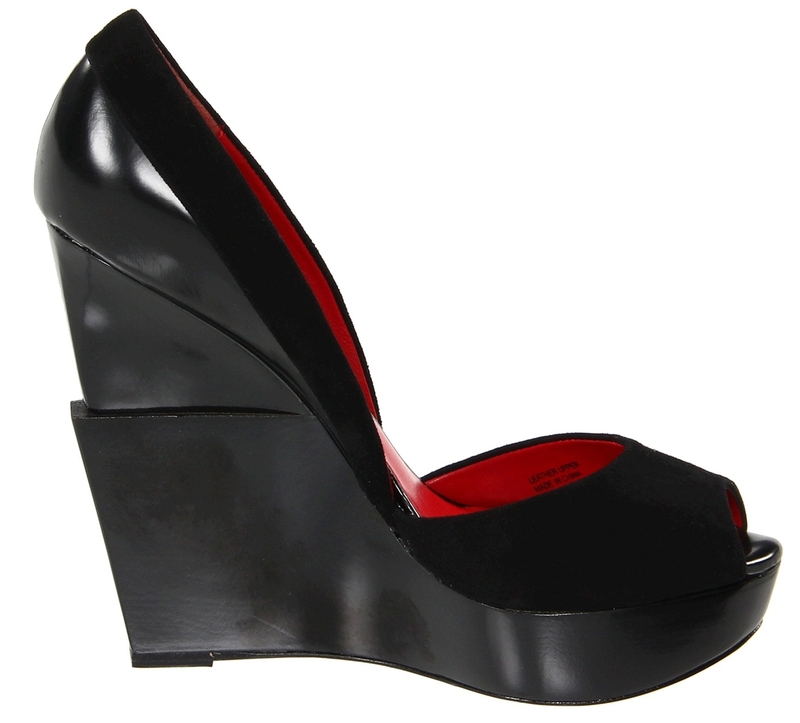 Featuring a 5 1/4" with 1" platform, this towering, aerodynamic wedge is gorgeous and sleek in its statue. With its leather upper, it almost reminds me of a chic tuxedo jacket or modern little black dress. Charles Jourdan is great at adding the right edgy and seductive details to his collection, making his shoes a must-have. Get ready to have some super long looking legs. I love the heels.. Classy & Elegant! Isn't it just so chic?